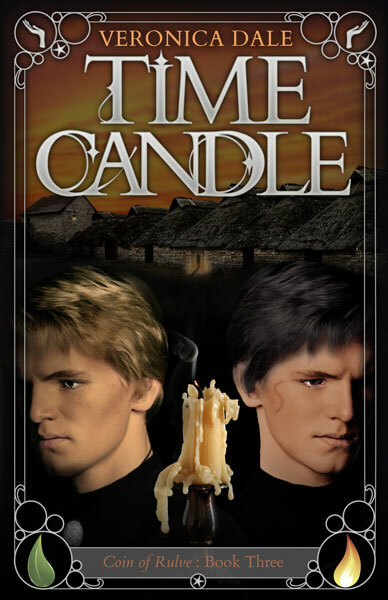 The suspense-filled third volume of the Coin of Rulve series by the author of Night Cruiser, Blood Seed, and Dark Twin—After a life-long separation, nineteen-year-old twin brothers Sheft and Teller are finally reunited in the Seani, the small resistance community where they were born. They are the Seani’s last hope in its secret collaboration with down-trodden villagers and beleaguered forest-warriors against the ruthless Spider-king. But an unknown poison has left the brothers with only thirteen hours to live. While the Seani leaders frantically struggle to find an antidote, four childhood friends of Teller’s risk their lives in enemy-occupied territory to save their promised saviors. Meanwhile, Sheft’s beloved Mariat must outwit the fierce boar-men who have captured her and then faces the most wrenching decision of her life.